Astrology used to be prevalent in the lives of those who lived in ancient Mesopotamia. It was used as their calendar, to understand about the shifting of the seasons, and connecting the human world to the celestial world. Today, it is often used by magazines and popular websites or other online outlets for people to “see what their week will hold” according to their astrological sign. 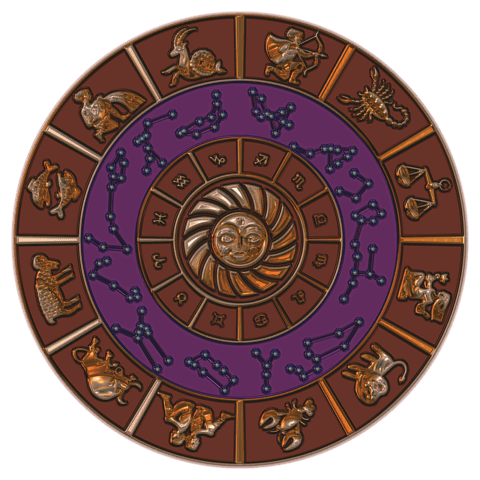 While it is fun that people use it for entertainment, there are still people today that abide by the laws of astrology and strive to understand it. People use astrology today because it comforts them to know that some outside forces are guiding their life, even if they are not religious. People also use astrology and their zodiac sign as an excuse for their behavior. For example, those of the astrological sign Aries are associated with the personality traits of being impulsive and impatient. In my case (I am a Cancer) the traits that my sign are associated with are being moody, sensitive, and taking things too personally. While these might be true, there is also a positive side. Aries, while they might be impulsive, are also said to be logical and able to handle themselves. Cancers, while being moody and sensitive, are said to be caring and nurturing. Whether Mercury is in retrograde or the moon is full, while it does provide a lot of insights to our behavior and personalities, people still need to be accountable for their actions and not blame it on the stars. The Commercialization of Astrology by Oakley is licensed under a Creative Commons Attribution-ShareAlike 4.0 International License. I like your analysis of how the media popularizes as a way to validate smaller issues in life. I think it’s interesting how you took two perpectives of a subject and analyzed them to add to your points. Thanks for sharing!